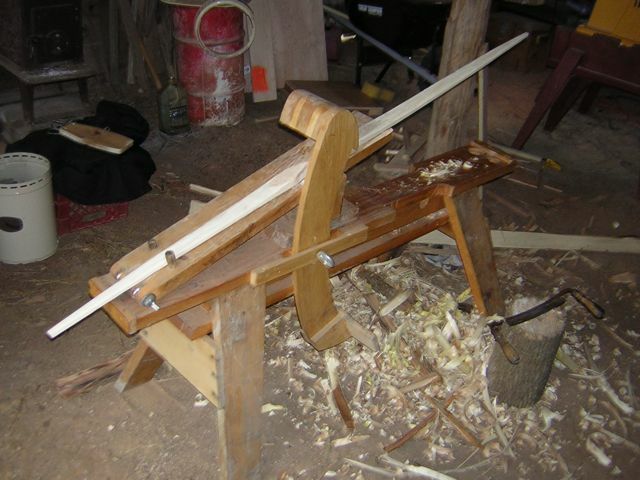 Here is a post from several years ago tracking the process of making a bow. 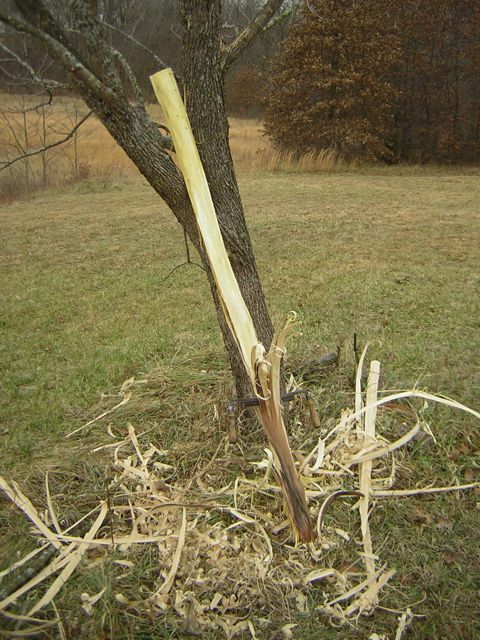 In this case, from Osage orange. 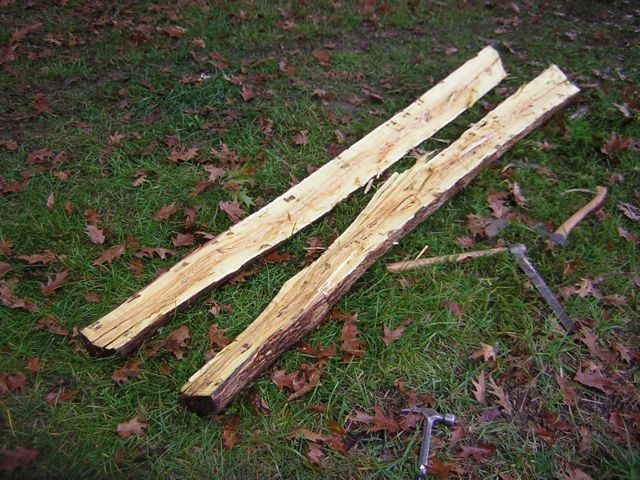 Splitting the seasoned Osage orange (Bois d’Arc) stave. This is a tough process. 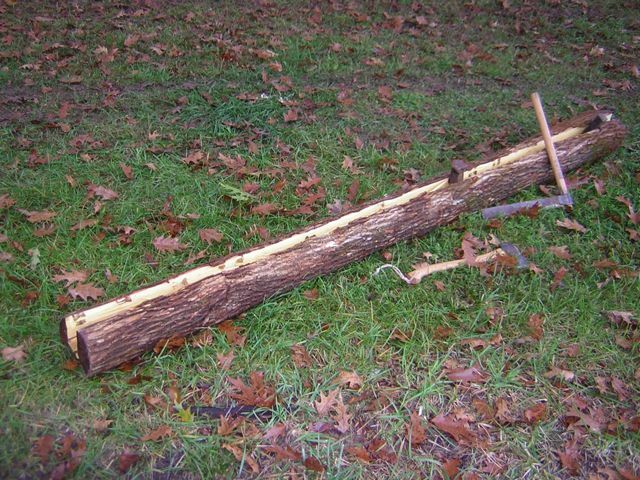 As can be seen in the photo above, I use an axe, froe, and hammer. 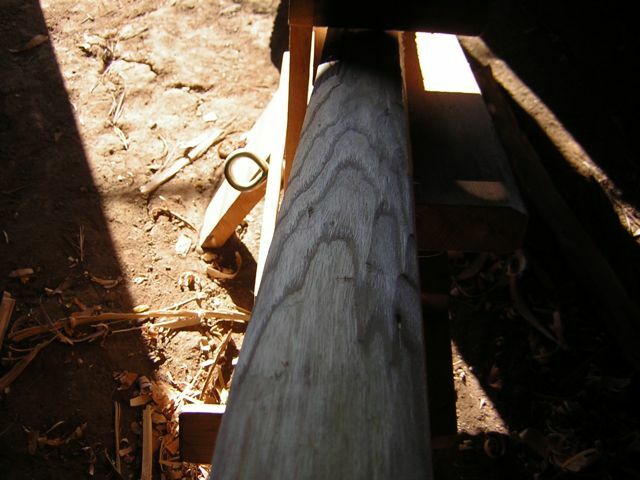 Not visible here are short hickory wedges that are jammed into the growing crack to keep the stave from snapping shut. Some species of white woods debark quite easily and the bow can be made from the outer growth rings. Not so with Osage Orange. The white new wood is visible in the stave above as the outer rings are worked down to a single thick growth ring. This process is easiest with a sharp draw knife working downward. 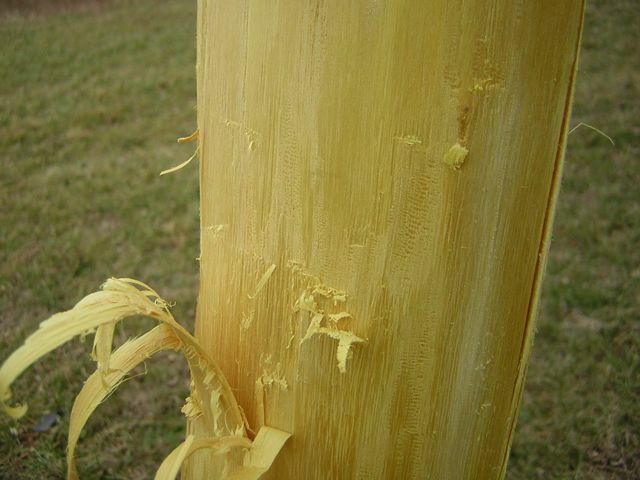 Your weight can be used to pull through the bark. Working down to a single growth ring. 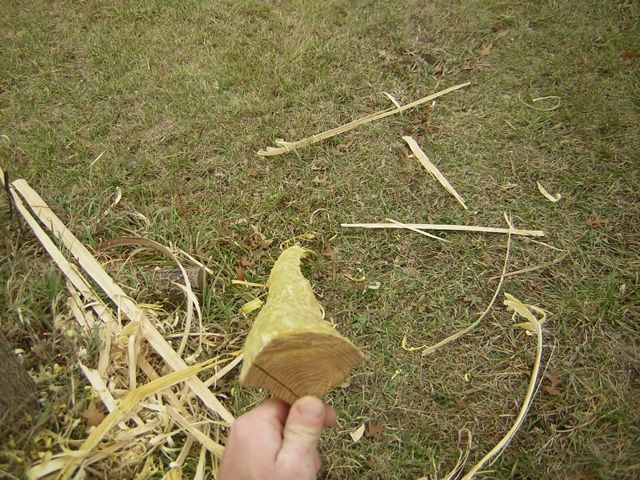 With Osage, there is a vesicular layer between hard wood rings. This is just visible here as the white wood. Sighting down the clean stave. Not perfectly straight, but then it wouldn’t be Osage otherwise. The growth rings are visible in the low raking light. The smooth area nearest the viewer is down to the desired ring. This will be the “back” of the bow meaning the side facing away from the shooter. Crossing the rings could cause the limb to “lift” and crack as the rings are stressed. Working the bow to its final shape. 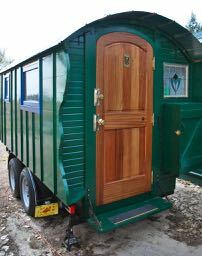 This is a different stave from the one shown above. I and others have documented this part of the process elsewhere.